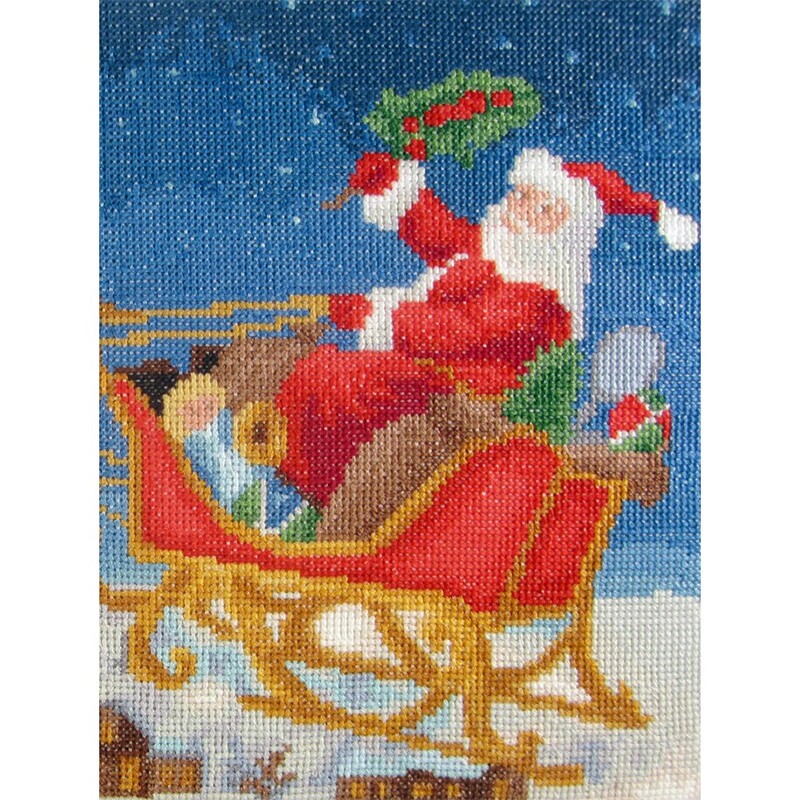 Santa is on his way! 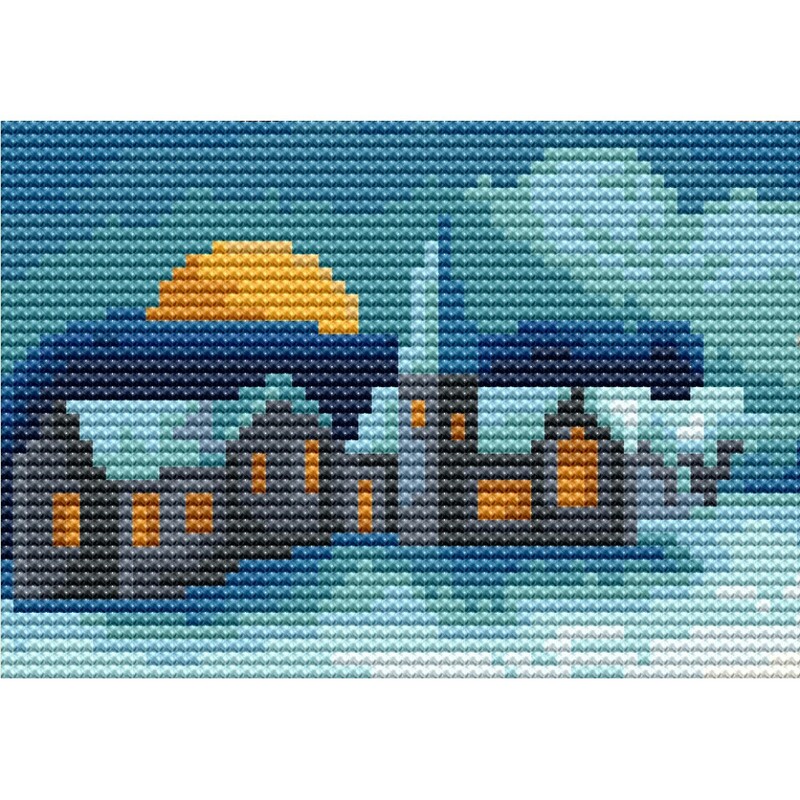 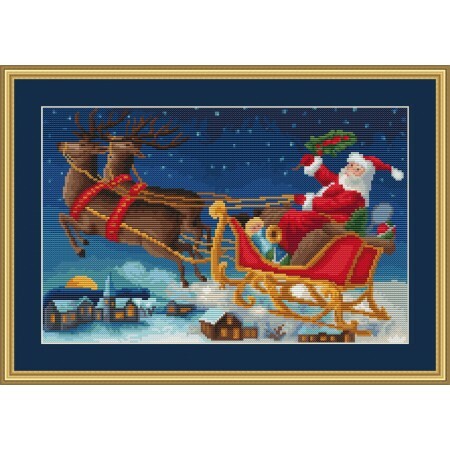 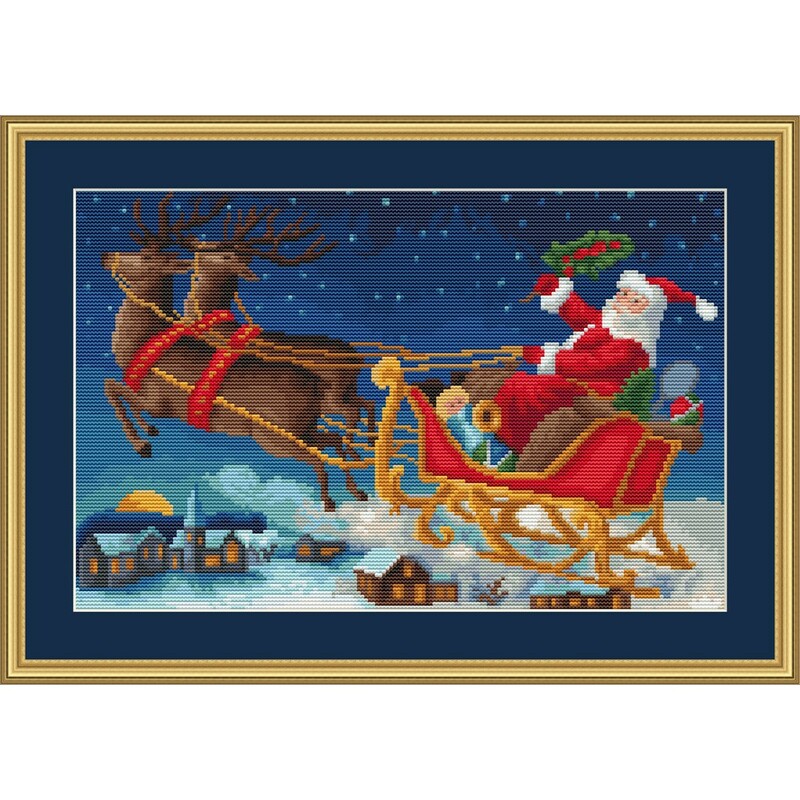 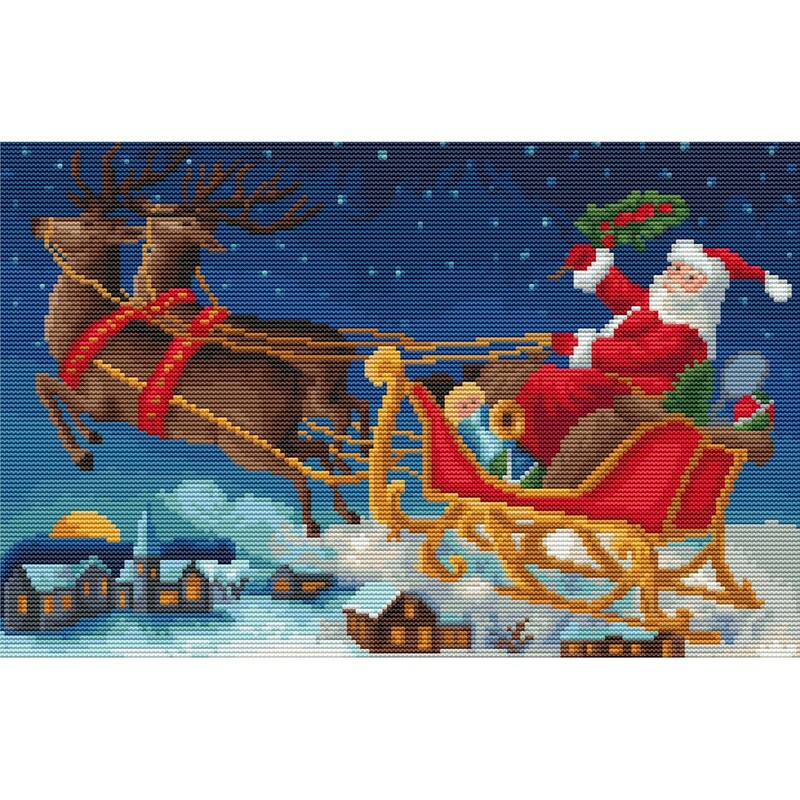 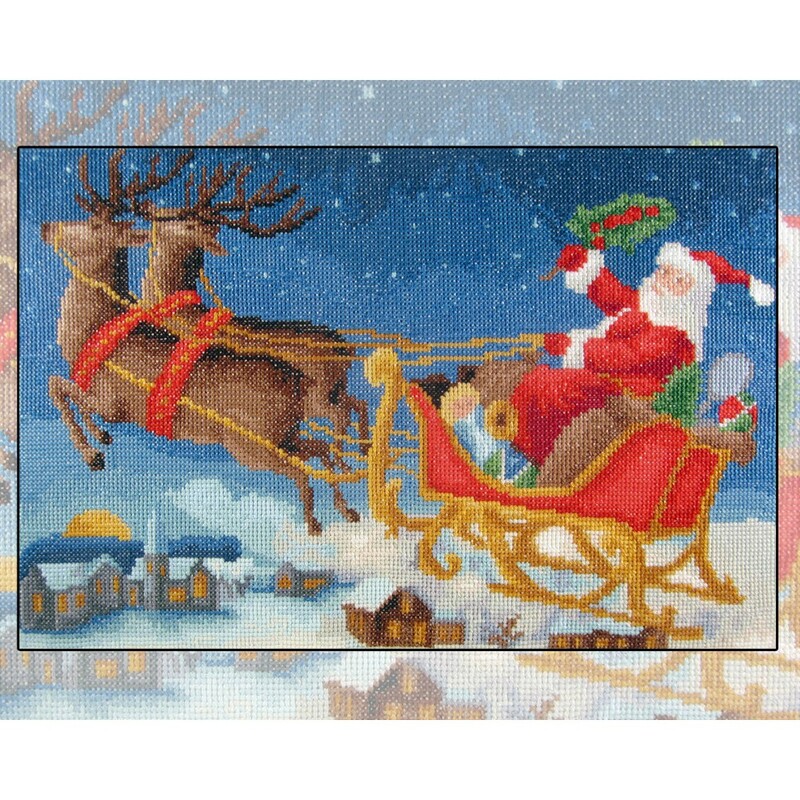 This fun cross stitch kit shows Santa flying in his sleigh, busy delivering gifts. 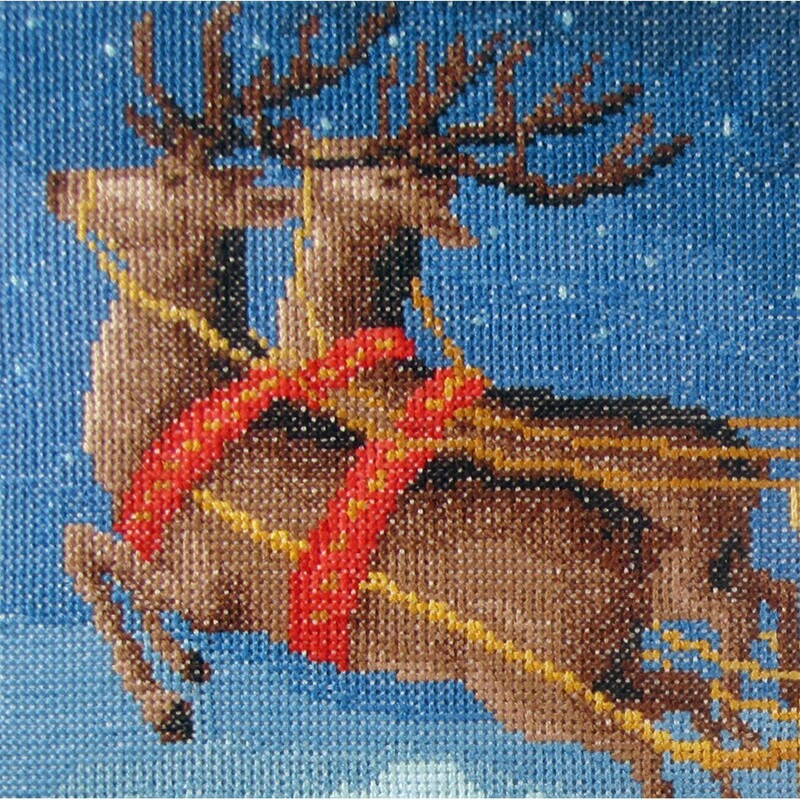 180 x 116 stitches, and stitched with 42 colors DMC floss and on 14ct white aida fabric by Zweigart.